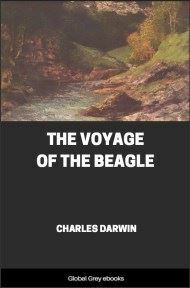 Also known as Darwin's Journal of Researches, this is a vivid travel memoir as well as a detailed scientific field journal covering biology, geology, and anthropology that demonstrates Darwin's keen powers of observation. 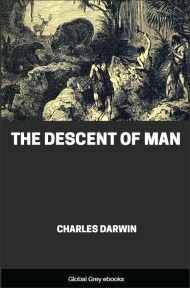 A fascinating glimpse into the world (parts of it anyway) as seen through the eyes of Darwin. 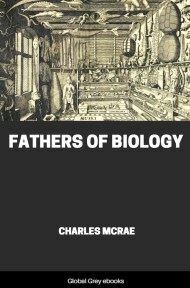 For those not so much interested in the biology parts, there are plenty of accounts of the tribes and the people he came across. After having been twice driven back by heavy south-western gales, Her Majesty's ship Beagle" a ten-gun brig, under the command of Captain Fitz Roy, R.N., sailed from Devonport on the 27th of December, 1831. The object of the expedition was to complete the survey of Patagonia and Tierra del Fuego, commenced under Captain King in 1826 to 1830--to survey the shores of Chile, Peru, and of some islands in the Pacific--and to carry a chain of chronometrical measurements round the World. On the 6th of January we reached Teneriffe, but were prevented landing, by fears of our bringing the cholera: the next morning we saw the sun rise behind the rugged outline of the Grand Canary Island, and suddenly illumine the Peak of Teneriffe, whilst the lower parts were veiled in fleecy clouds. This was the first of many delightful days never to be forgotten. On the 16th of January 1832 we anchored at Porto Praya, in St. Jago, the chief island of the Cape de Verd archipelago. The neighbourhood of Porto Praya, viewed from the sea, wears a desolate aspect. The volcanic fires of a past age, and the scorching heat of a tropical sun, have in most places rendered the soil unfit for vegetation. The country rises in successive steps of table-land, interspersed with some truncate conical hills, and the horizon is bounded by an irregular chain of more lofty mountains. 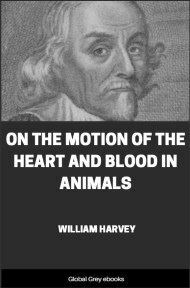 The scene, as beheld through the hazy atmosphere of this climate, is one of great interest; if, indeed, a person, fresh from sea, and who has just walked, for the first time, in a grove of cocoa-nut trees, can be a judge of anything but his own happiness. The island would generally be considered as very uninteresting, but to any one accustomed only to an English landscape, the novel aspect of an utterly sterile land possesses a grandeur which more vegetation might spoil. 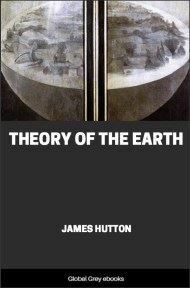 A single green leaf can scarcely be discovered over wide tracts of the lava plains; yet flocks of goats, together with a few cows, contrive to exist. It rains very seldom, but during a short portion of the year heavy torrents fall, and immediately afterwards a light vegetation springs out of every crevice. This soon withers; and upon such naturally formed hay the animals live. It had not now rained for an entire year. When the island was discovered, the immediate neighbourhood of Porto Praya was clothed with trees, the reckless destruction of which has caused here, as at St. Helena, and at some of the Canary islands, almost entire sterility. The broad, flat-bottomed valleys, many of which serve during a few days only in the season as watercourses, are clothed with thickets of leafless bushes. Few living creatures inhabit these valleys. The commonest bird is a kingfisher (Dacelo Iagoensis), which tamely sits on the branches of the castor-oil plant, and thence darts on grasshoppers and lizards. It is brightly coloured, but not so beautiful as the European species: in its flight, manners, and place of habitation, which is generally in the driest valley, there is also a wide difference. One day, two of the officers and myself rode to Ribeira Grande, a village a few miles eastward of Porto Praya. Until we reached the valley of St. Martin, the country presented its usual dull brown appearance; but here, a very small rill of water produces a most refreshing margin of luxuriant vegetation. In the course of an hour we arrived at Ribeira Grande, and were surprised at the sight of a large ruined fort and cathedral. This little town, before its harbour was filled up, was the principal place in the island: it now presents a melancholy, but very picturesque appearance. Having procured a black Padre for a guide, and a Spaniard who had served in the Peninsular war as an interpreter, we visited a collection of buildings, of which an ancient church formed the principal part. It is here the governors and captain-generals of the islands have been buried. Some of the tombstones recorded dates of the sixteenth century. The heraldic ornaments were the only things in this retired place that reminded us of Europe. The church or chapel formed one side of a quadrangle, in the middle of which a large clump of bananas were growing. On another side was a hospital, containing about a dozen miserable-looking inmates. Another day we rode to the village of St. Domingo, situated near the centre of the island. On a small plain which we crossed, a few stunted acacias were growing; their tops had been bent by the steady trade-wind, in a singular manner--some of them even at right angles to their trunks. The direction of the branches was exactly north-east by north, and south-west by south, and these natural vanes must indicate the prevailing direction of the force of the trade-wind. The travelling had made so little impression on the barren soil, that we here missed our track, and took that to Fuentes. This we did not find out till we arrived there; and we were afterwards glad of our mistake. Fuentes is a pretty village, with a small stream; and everything appeared to prosper well, excepting, indeed, that which ought to do so most--its inhabitants. The black children, completely naked, and looking very wretched, were carrying bundles of firewood half as big as their own bodies.